St. Patrick’s Day Weekend at HT! Celebrate St. Patrick’s Day weekend at Hopewell Theater with some of the best of Irish culture: live Irish-American music by Mick Moloney and the Green Fields of America, a special Irish meal offering, and several screenings of classic Irish films! In addition, each program will feature an optional special Saint Patrick’s $20 meal deal — corned beef, cabbage, boiled potatoes, soda bread, and mustard from our friends at The Peasant Grill. You will be able to add the dinner to your performance ticket at check out in person, over the phone or on our website. Friday, March 15th at 7:00 p.m.
Jimmy Rabbitte (Robert Arkins), a self-proclaimed promoter, decides to organize an R&B group to fill the musical void in his hometown of Dublin, Ireland. The band comes together but ends up consisting entirely of white musicians who have little experience with the genre. Even though their raw talent and lofty aspirations gain the group notoriety, the pitfalls of fame began to tear at their newfound friendships as they prepare for their big show. Saturday, March 16 at 3:00 p.m.
Young Brendan lives in a remote medieval outpost under siege from barbarian raids, but a new life of adventure beckons when a celebrated master illuminator arrives from foreign lands carrying an ancient but unfinished book, brimming with secret wisdom and powers. 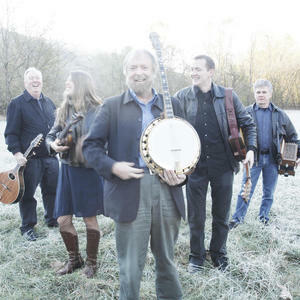 Saturday, March 16 at 8:00 p.m.
Mick Moloney and The Green Fields of America celebrate Irish music and dance. Hear stories of the flood of Irish who set out for a new life in the West and how, while meeting new immigrants from throughout the world, they championed the ancient tradition back in Ireland. Sunday, March 17 at 4:30 p.m.
Based on the Irish legend of the Selkies, Song of the Sea tells the story of the last seal-child, Saoirse, and her brother Ben, who go on an epic journey to save the world of magic and discover the secrets of their past. Pursued by the owl witch Macha and a host of ancient and mythical creatures, Saoirse and Ben race against time to awaken Saoirse’s powers and keep the spirit world from disappearing forever. Sunday, March 17 at 6:45 p.m.
Philomena focuses on the efforts of Philomena Lee (Judy Dench), mother to a boy conceived out of wedlock – something her Irish-Catholic community didn’t have the highest opinion of – and given away for adoption in the United States. After starting a family years later in England and, for the most part, moving on with her life, Lee meets Sixsmith (Steve Coogan), a BBC reporter with whom she decides to discover her long-lost son. Tickets for these events and more can be purchased at the Box Office or on our website.